The Goshen E.R.T. consists of thirteen operators all specializing in specific weapons and responsibilities. E.R.T. 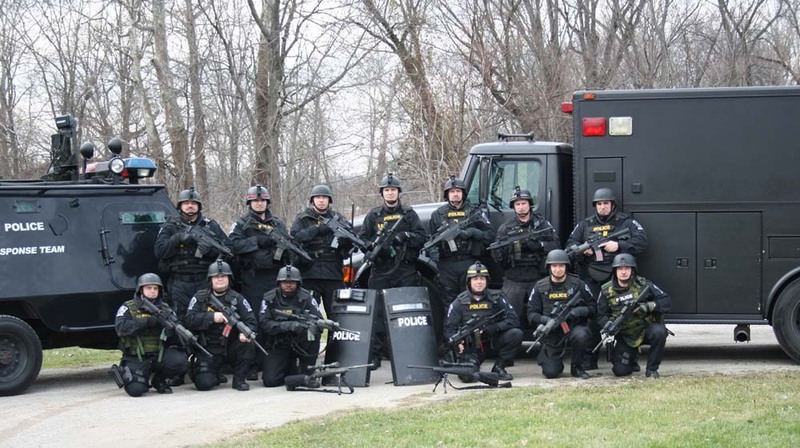 works jointly with all other special units of the Goshen Police Dept to include K-9, negotiators, patrol rifles, or other agencies. E.R.T. is not a full time position with the Goshen Police Department. Each officer has a full time duty or job on the police department whether it be patrolman, detective, School officer, etc. E.R.T. members perform this job above and beyond their normal duties and are on call 24 hours a day, 7 days a week. Each E.R.T. operator has to have at least two years on the police department, pass physical standards, be interviewed for the position and a 90% shooting accuracy requirement. The E.R.T. commander Officer J. Owens has been with the Goshen Police Department for 5 years and is currently a patrolman on afternoon shift.